As a leader in the market, QuickBooks Enterprise does not disappoint its users with a plethora of features. It is a versatile accounting software with advanced features ranging from maintaining payrolls, keeping track of purchases and orders, creating customized reports, managing inventory, among many others. With such features, QuickBooks Enterprise Solution (QBES) is a one-stop solution for all the accounting-specific needs. However, another parameter comes into play when we talk about the performance of a software. No matter how efficient a software may be, it cannot perform as well if the platform it is hosted on does not provide the optimum resources it requires. Typically, QuickBooks Enterprise is hosted on the local systems like any other software. However, the limitations of the local setup do not allow it to be used in full capacity. The resources of the local hardware are limited and can only be upgraded by replacing the hardware. Moreover, installing QuickBooks Enterprise on the local desktop also restricts the users to access it from desktop only. The CPAs have no other option than to go to the office every day to access the data. For the accountants and CPAs, all these aspects can lead to a loss in productivity and increase in capital as well as operational expenses. However, there is a better platform to host your QuickBooks Enterprise software. Hosting QuickBooks Enterprise on the cloud ensures that all your hardware-related limitations are eliminated, and you get a more mobile, flexible, and secure environment. One of the vital features of QuickBooks Enterprise cloud hosting is that it gives you the ability to access the software from remote destinations at any time of the day. All you need is an Internet connection to access QBES remotely. This infographic explains how QuickBooks Enterprise on the cloud can be accessed from a remote location. The foremost step is to select the right hosting provider for the process. It depends on the size of the firm, budget, as well as the desired features. To select a cloud provider, you can analyze certain parameters that a hosting provider must have in their services. 1. 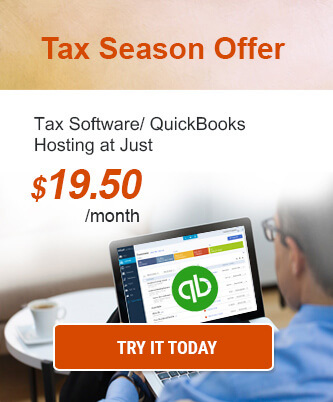 Intuit Authorization- Look for a hosting provider that is authorized by Intuit to host QuickBooks. Intuit authorization brings a level of trust and credibility to the provider. 2. Security– Check for the security standards maintained by the hosting provider. You can look for security safeguards such as encryption, multi-factor authentication, among others. 3. SLA- Go through the SLA of the hosting provider thoroughly and check for the features such as uptime, terms of service, among others. 4. Backup- Check for the number of days the hosting provider is willing to backup your data. 5. Pricing- Check if the hosting provider has pricing plans that suit your requirement. 6. Support- It is vital for every provider to offer efficient customer support. The hosting provider should offer round-the-clock support. Once you have chosen the cloud provider of your choice, the next step is to host QuickBooks Enterprise with it. Now if you already have a QuickBooks Enterprise license installed on your local desktop, it can be migrated to the cloud servers along with the data. However, if you want to buy a new license or your license is about to expire, the licenses can be purchased with the cloud provider itself given that the provider is an Intuit Authorized Commercial Host. After your QuickBooks Enterprise is hosted on the cloud and your account is set up, you can log in to the portal with the help of RDP software or directly through the browser, whichever option is provided by the cloud hosting provider. The cloud service provider will offer you with credentials (username and password) to login to the portal. Enter the credentials and access your QuickBooks Enterprise from any place with smartphones, tablets, and laptops. 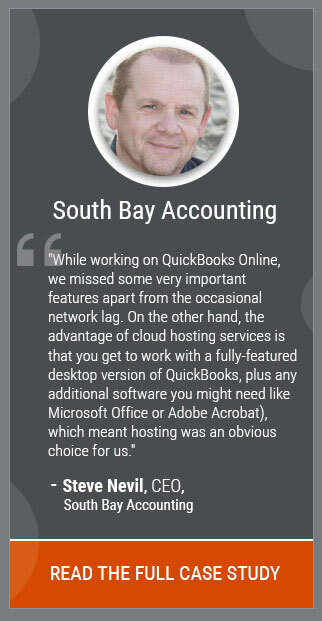 The QuickBooks Enterprise Remote Access feature brings a lot of convenience in the accounting process. The accountants can access QuickBooks even while commuting or off-premises. As the QuickBooks Enterprise, as well as data, is stored on the cloud, you can access it from any device. Hence, even if a device is stolen, it does not matter as you can pick up another device and your data will be intact. This step-by-step process explanation is what I was looking for days. Thank you ACE for this instructive article and infographic. QuickBooks Enterprise remote access has made the accounting process very convenient. Accountants are now more productive and efficient.